The Environment Agency has responsibility for the water quality within the Island’s main rivers and estuaries. Water quality is assessed by taking samples of water and measuring the concentration of chemical pollutants which they contain. 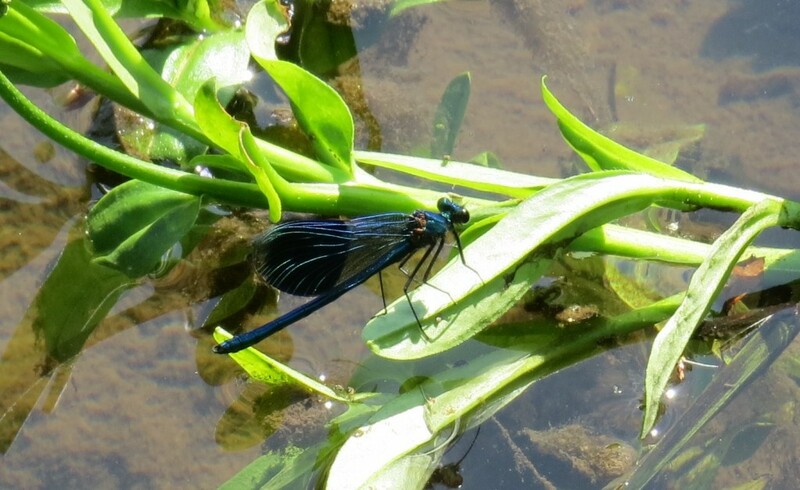 In addition, samples of creatures which inhabit the bed of the streams are taken to assess the health of the river. The European Water Framework Directive became part of UK law in 2003. Its aim is for all our rivers to be at good ecological status. Rivers are classified on key aspects of biology, chemical quality, quantity and physical structures, so improving the water quality in the Island’s rivers is very important. As well as ensuring the suitability of water as a natural habitat, the Agency must also ensure the quality of water and resolve the many conflicting demands made by society for drinking water, agriculture, industry, sewage treatment, fisheries and recreation. A close working relationship between the Environment Agency, the Isle of Wight Council, Southern Water and other local organisations is vital to ensure that water quality objectives are consistent and complement one another. Southern Water (and all other water companies) have to produce Asset Management Plans (AMPs) which detail how they will strategically invest over five year periods. AMPs are approved by OFWAT. On the Island we should be aware that the natural quality of streams is variable. Those arising from chalk springs such as Lukely Brook at Plaish are well buffered and neutral, whereas those originating from the rich sandstones may be acidic and rusty deposits can be seen on gravel and vegetation. An example of this can be seen between the River Medina and the Merstone Stream where they meet at Blackwater. Iron deposits vividly stain the bed of the Merstone, draining from the Ferruginious Sands of St George’ Down. The Eastern Yar flows across Greensand so will always have a muddy appearance. The Island’s rivers are mostly recorded as ‘moderate’ status. Particular stretches of rivers periodically have poor water quality caused by specific discharges. Problems can result from surface water run-off which has been contaminated with oil before being discharged from drains. The Scotchell’s Brook at Sandown receives significant diffuse pollution as a result of run-off from urban areas. In rural areas there are occasional pollution incidents from septic tanks or farm slurry and silage. Hampshire and Isle of Wight Wildlife Trust have a Catchment Sensitive Farming Officer who can help farmers avoid such problems. From 2 April 2018 there are new rules for farmers to protect water courses and water quality. The rules will require good farming practice, so that farmers manage their land both to avoid water pollution and to benefit their business. They provide a step by step checklist to make sure that fertilisers are spread to meet crop and soil needs. Other rules safeguard water quality by requiring farmers to judge when it is best to apply fertilisers, where to store manures and how to avoid pollution from soil erosion. There are 23 sewage treatment works on the Island, and these can occasionally fail. Pollution can occur from construction sites and pesticides and nitrates are not only issues on farm land, but cause problems when applied in riverside gardens too.